An icon of the American southwest, the cactus plant is also a widely used symbol to represent the arid deserts of Mexico. Mexico is home to a number of unique and beautiful cacti types that have adapted to thrive in the country's hotter and dustier regions. Hedgehog cactus (Echinocereus triglochidiatus), also called claret cup cactus, is an early-spring blooming cactus that produce cup-like, hot-pink flowers. Native to Mexico and the southern United States, the distinct looking hedgehog cactus has multiple prickly stems grouped together. The hedgehog cactus grows in sunny locations in rocky soils and in arid shrublands. The attractive flowers of the cactus are pollinated by hummingbirds. Barrel cactus (Ferocactus wislizeni) can be found throughout central Mexico, as well as the American southwest. The huge, barrel shaped cactus can reach impressive heights, with some specimens growing up to 11 feet high. The pulp of the barrel cactus is the primary ingredient in cactus candy, a novelty treat. The cactus flowerings in mid spring to early summer, producing a crown of bright yellow or red flowers. Barrel cactus can be found in the wild throughout gravely slopes and sandy desert washes. Christmas cactus (Opuntia leptocaulis), also called holycross cholla or darning needle cactus, is a spiny branched cactus that can be found throughout northern Mexico, as well as in the Sonoran and Chihuahuan deserts of the United States. 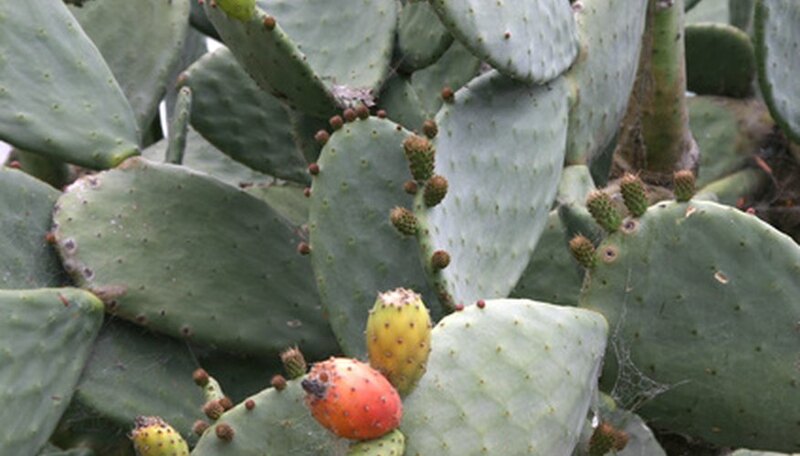 The plant's common name comes from its Christmas coloring: the green cactus produces long, red fruits that stay on the tree throughout the holiday season. Christmas cactus grows in the wild in desert washes and slopes, producing yellowish flowering in late spring through early summer.